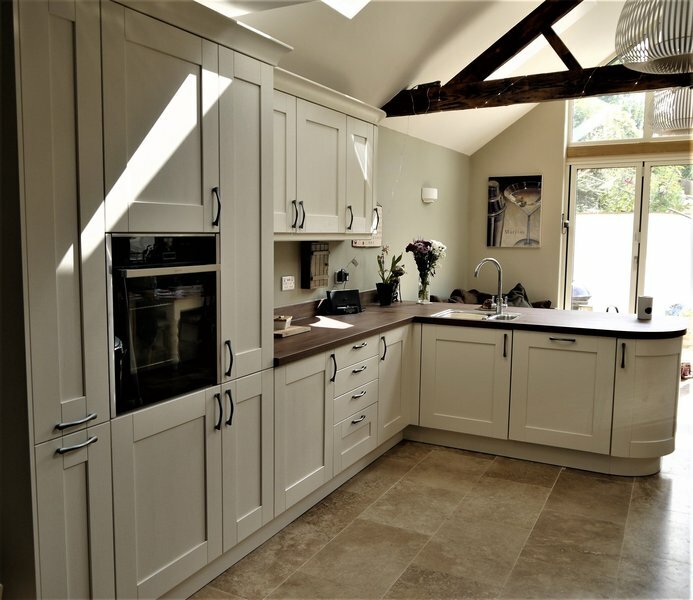 We are a passionate and friendly team that deliver a complete project management service that allows you to relax, whilst every stage of your new kitchen or bedroom is organised for you. The design and installation service is provided by trained interior designers and qualified installers. 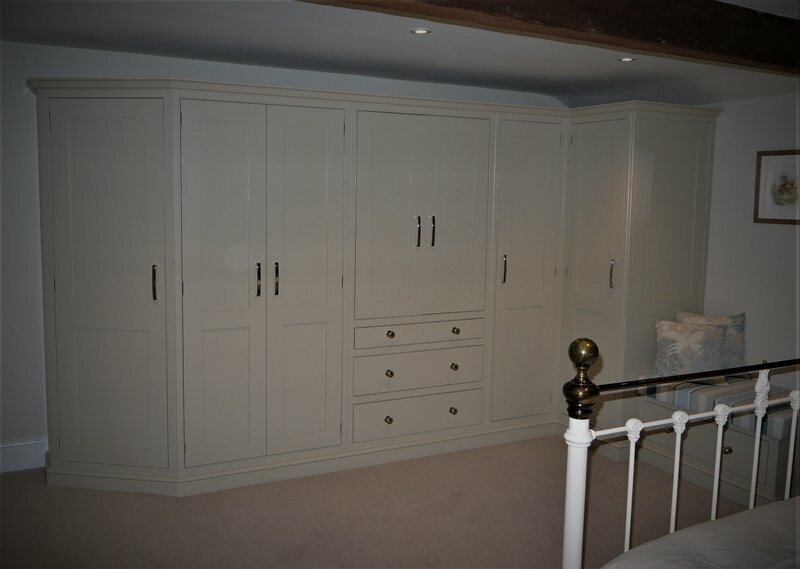 We have vast experience in bringing elegant style and immaculate finish to these crucial parts of the home. 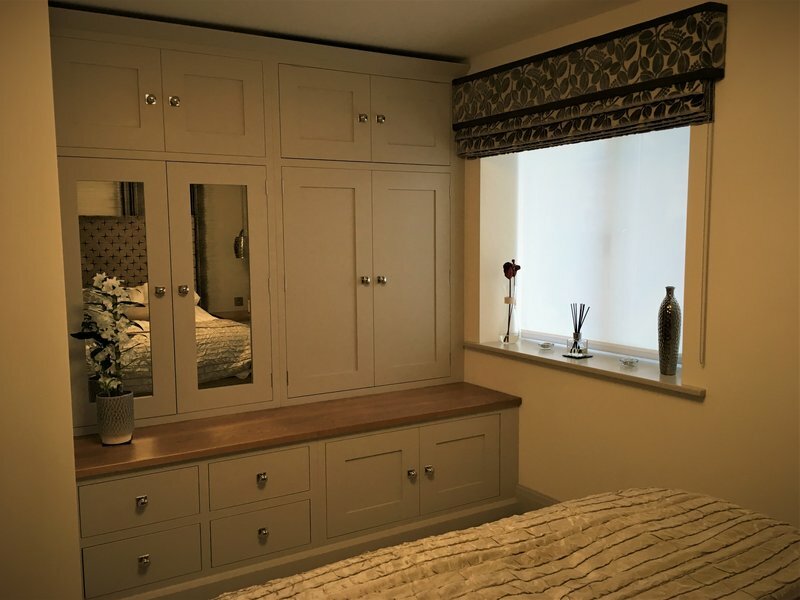 Whether we’re perfecting your bedroom, your kitchen or both, we’ll help you to create a home environment that’s stylish, sophisticated and seamlessly functional. Contact us to see why customers have been recommending us for over 30 years. The existing kitchen was 11 years old and badly fitted by the developer. Everything including the stone floor needed to be removed and replaced. 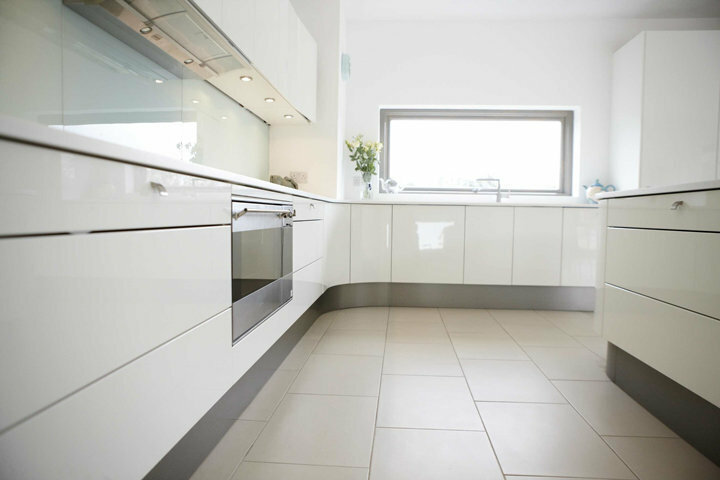 Scammell Interiors helped us design the new kitchen and recommended suppliers for the flooring. We were given a clear schedule of work to be done before final fitting and estimated timing. Dates were agreed and strictly kept. Work began on time and finished within estimates. The fitter consulted regularly regarding minor adjustment to plans and undertook extra work when needed. Cost was agreed at every stage. The same fitter was with us throughout and was precise and detailed. 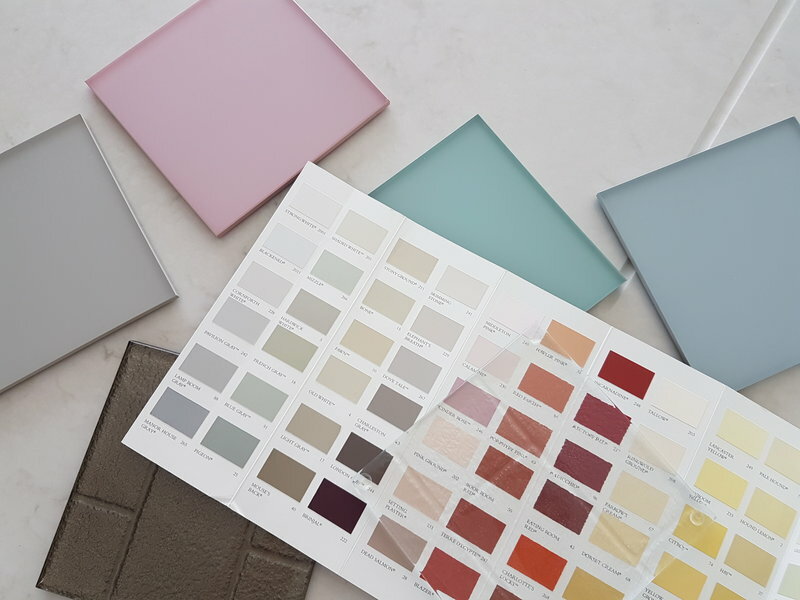 Sharon Scammell was exceptional in recognising our design needs and making helpful suggestions regarding design, equipment, finishes and some of the colour matches. When the reinstalled dishwasher failed 4 weeks after completion she was able to recommend and secure a timely replacement. We are pleased with the final result. We had used them 15 years earlier when they were a smaller business and fully justified our decision to return. Great attention to detail. Top quality materials. Excellent craftsmen for all aspects of the work. From start to finish the service from Scammels was extremely professional. Every detail was discussed and the end result is superb. Hello Claire! Our team were so pleased to see this review, thank you for choosing us and taking the time to share your experience. From the first discussion of my needs to the completion of the kitchen installation, I cannot fault them. Every member of the work team was professional, a pleasure to have in the house, listened to me and kept me informed. It cost a lot but was worth it. We are delighted with our new kitchen and dining room. A total transformation its exactly what we had hoped for - just perfect. From start to finish the whole team have done an amazing job. Sharon and Steve were extremely helpful from our first visit to the showroom until the completion of the works. Paul Rhodes the fitter assigned to our works did a fantastic job of all the works he carried out for us which included ceilingsflooringplumbing and fitting the units. Anthony Sheppard the decorator remained extremely patient whilst painting the units and did a superb job. All in all a big thank you to everyone involved. Our first meeting with Sharon to plan the kitchen was everything we'd hoped for - she listened patiently to our concerns but also gave us numerous ideas on design, colour and products. We had every confidence that this company would deliver an excellent product and service. Everything has gone so smoothly thanks to Sharon and Steve's organisation and attention to detail. Kitchen delivered on time, no problems what so ever and superbly fitted by Duncan. It looks stunning in our new home and we couldn't be happier with our choice. A fabulous company to deal with and we have no hesitation in recommending them 100%... Out thanks to the whole team from beginning to completion. I am very happy with the finished result and the quality of the build. I'm especially delighted with the fitter in charge of the proceedings, Duncan Littlechild. Sharon & Steve Scammell were really helpful in supplying the things I needed. The work took a while longer than I had anticipated. Would have appreciated a call from Scammells each week of the build. 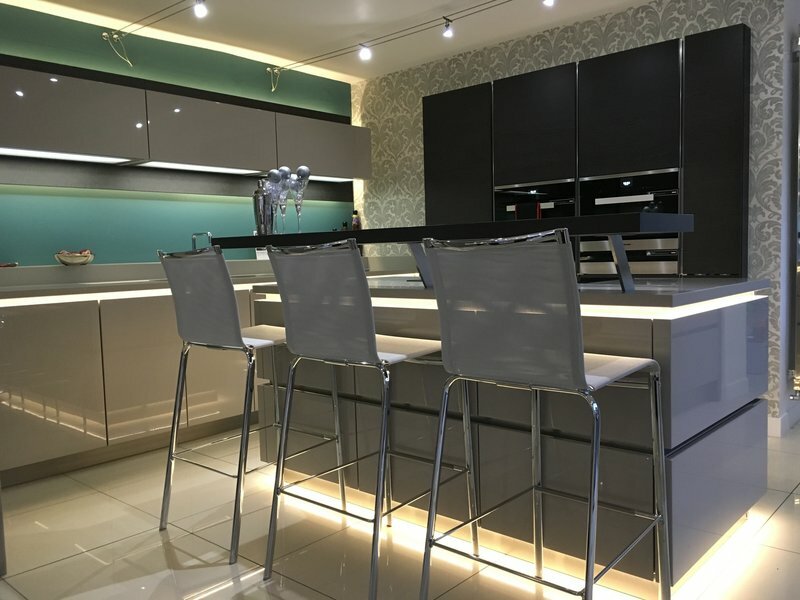 I originally had my kitchen completely refitted in 2013 and was so delighted with Scammell Interiors help and assistance to design what I wanted and then fit it perfectly made the experience enjoyable. Consequently, when I decided to refit my utility room this year I had no hesitation in returning to Scammell and again they did not disappoint. Service is first class, customer satisfaction is important to them and the quality of their kitchens and workmanship is second to none. I have no hesitation in recommending them to anybody. They are an absolute joy to deal with. We had a new kitchen fitted last year, and utility room this year. Scammell?s were very professional and helpful. They took all the stress out of the whole procedure. They communicated well before and throughout. Everything was ordered by them and they came the day of delivery to check everything was there. Their plumber was friendly and worked hard and we didn't have to arrange anything. The new furniture is attractive and it's a pleasure to work in it.